Prime Minister Justin Trudeau announced that Canadians will be able to consume marijuana recreationally without criminal penalties starting on Oct. 17, 2018 — many months later than the government’s initial target date. There are an assortment of models in place as provinces prepare for the legal sale of cannabis. The western provinces will allow at least some private retailers to operate, while eastern provinces (including Ontario but excepting Newfoundland) are restricting sales to government-run stores. 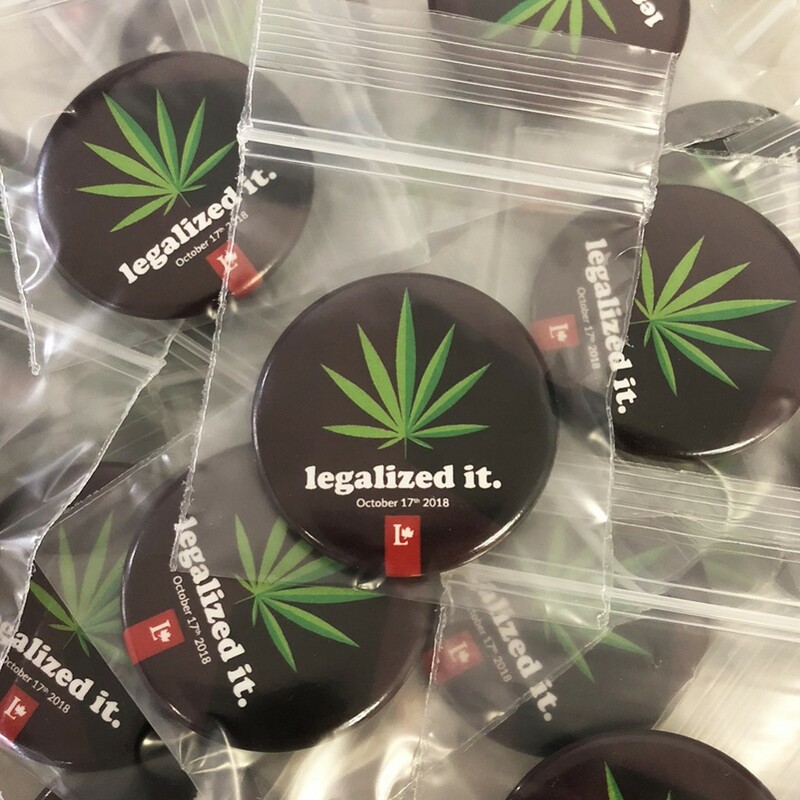 The Liberal Party of Canada called on Six Cent Press to produce 100,000’s of buttons to mark & celebrate this historic event. These pin back buttons are in transit and will be in circulation in every Province, City and town across Canada leading up to October 17th, 2018.